A governing board of three or five commissioners makes the administrative decisions for the county. They are responsible for the county budget, county road department, social service administration and many other county concerns. Commissioners meet the first and third Wednesday of each month at 9 a.m. CT. Agenda items must be received no later than noon on the Friday preceding the meeting. Introduction: The auditor's office is the hub of every courthouse. 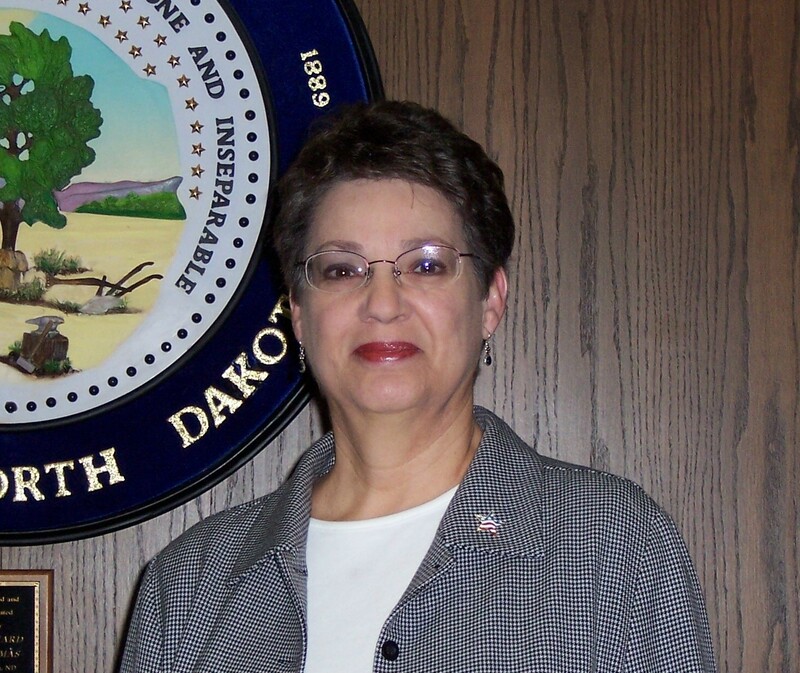 As defined in the N.D. Century Code, the auditor is the chief financial officer, the elections officer, and the secretary to the county commission. Most auditors are responsible for a broad range of other administrative duties. Auditors are elected to four-year terms and officially assume office the first Monday in April. In some counties, the position is becoming an office appointed by the commission. Chief Financial Officer: The auditor oversees all fiscal action, ensuring that funds are used properly. Before the county commission approves payment of bills, the auditor checks all of the requests for payments. The auditor's office handles all aspects of county payroll checks, related reports, and benefits records. They are required to prepare year-end financial statements. Election Administration: The county auditor is the election administrator for primary, general and special county, state and federal elections. Since 1994, city elections have been held in conjunction with primary elections. The auditor trains election workers and prepares, distributes and tabulates ballots. The auditor is also part of the board which canvasses (examines) election results. The Secretary of State certifies the results. Commission Secretary: The auditor schedules meetings, prepares agendas, and takes minutes at commission meetings. Board members may ask the auditor to process correspondence or research county records to provide them with accurate information. Taxes & Budgeting: After the fiscal year begins (January 1), the auditor starts preparing the budget for the following year by compiling revenue, expense, and levy estimates. By summer, a preliminary budget is ready for examination by commissioners, and the final budget is approved by the commission in October. The auditor also computes market and taxable land valuation for taxation purposes, and generates tax statements and lists. Other tax-related duties include preparing property tax abstracts, personal property reports and homestead credit reports. Mill levies are calculated for all taxing districts (such as cities, school districts, townships, fire districts, water resource boards, and park districts). At the appropriate time, as determined by law, the auditor's office disburses tax money collected for these political subdivisions. The auditor maintains records of county-owned property, obtained through tax proceedings and legal land descriptions for taxation purposes. What Happens When Taxes Are Paid? The county depends on receiving the estimated tax revenue in order to pay for all of the services in the budget. However, sometimes people don't or can't pay their taxes. If the taxes aren't fully paid by October 15, they are considered delinquent. If they aren't paid for three years, the auditor serves a foreclosure notice and the county becomes owner of the property. The auditor prepares tax deeds on all land foreclosures and conducts a sale of property on the third Tuesday in November. Private sales of foreclosed property are held throughout the year. The auditor conducts a tax certificate sale on the second Tuesday in December. In many counties, the auditor assumes the duties of a personnel director, handing personnel files, information on group insurance programs, flexible compensation programs and personnel policies. Often the auditor serves as liaison between the commission and county employees. Introduction: District courts are the key elements in the judicial system established in 1995. With the elimination of county courts, district courts became responsible for the workload and positions of the county courts. The Clerks of Court Association was formed in 1952 as the N.D. County Judges Association. Later, a separate organization was formed for clerks of district, county, municipal and Supreme courts. The clerk of district court could well be called "Custodian of Court Files" because much of the clerk's time is spent working with legal records. It is an important job because maintaining accurate, updated and accessible records helps bring efficient delivery of judicial services. District Court: Clerks of district court must summon jurors, maintain exhibits and attend court when it is in session. * Civil Actions area proceedings concerning the rights of private individuals. They include divorces, foreclosures, and personal injury/property damage cases. * Restricted Action files aren't open to the public. They include formal juvenile proceedings, adoptions and paternity suits. * Criminal Actions, or felonies, are handled in district court. These serious crimes include murder, gross sexual imposition and burglary. * Child Support: Because of the number of divorces and a growing number of state and federal laws, the number of child support cases has expanded faster than other court responsibilities. * Passports: Clerk’s of district court are designated agents for U.S.A. passports. 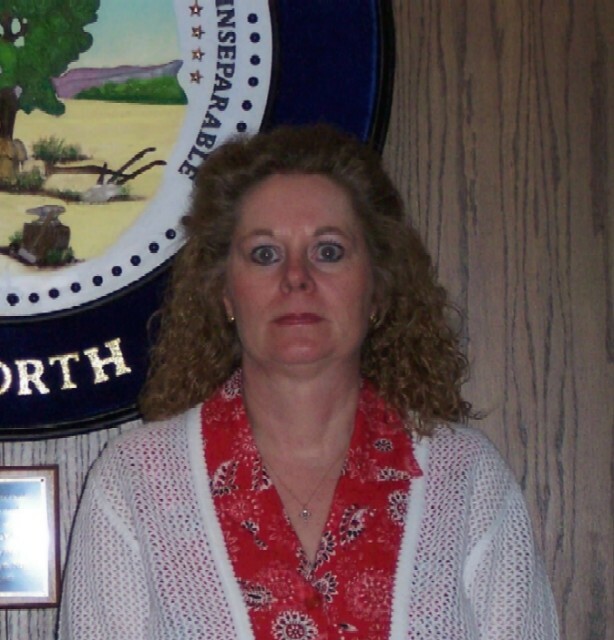 In counties where the population is less than 6,000, one person acts as a clerk of district court and county recorder. The 1989 Legislature opened the way for district clerks of court to become state employees. The county commission must initiate the transfer, which needs the approval of the state Supreme Court. Funding for the move must be appropriated by the Legislature. District courts are part of the court system that includes the state supreme courts and municipal courts. Introduction: The county recorders office is one of the offices formally organized by the Constitutional Convention of 1889, and in some counties existed as part of the Territorial Offices. County Recorder officers are elected to four-year terms which begin January 1. In a few counties the position is appointed, but election remains the predominant method for citizens to select a recorder. Some counties have combined the recorder position with either the clerk of court or treasurer. The information filed and recorded in the recorders office is used by the auditor, treasurer, commissioners and other county officials, along with the general public and business entities. The real estate record is the basis for the auditor's assessment rolls and the tax collection process of the treasurer. The County Recorders Association was organized in 1929 to help North Dakota's 53 counties keep up-to-date with changes in methods of recording and with changes in laws affecting their offices. The County Recorders Association also monitors and proposes legislation to better serve the state. An annual summer meeting is held along with training sessions and Quad meetings. * Keep a record of each patent, deed, mortgage, bill of sale, security agreement, judgment, decree, lien, certificate of sale and other instruments required to be filed or recorded in proper books provided for such recording, upon receipt of the filing or recording fees. * Each recorded document shall also state the date, hour and minute of the date when it was filed, the book of records in which it is recorded and the page upon which it is recorded. * Process all UCC financing statements presented for filing into the statewide central notice system. * Prepare a UCC abstract whenever any person requests it and pays the required fee. * Maintain a reception book, grantor/grantee index and land tract index. * Assist the public in finding information as found in the real estate record and the UCC files. * Furnish upon request (written or by telephone) to persons information contained in financing statements to perfect a security interest pursuant to chapter 41-09 when the collateral is farm products, and provide written confirmation of the oral information provided upon receipt of a fee which shall be the same as for recording that instrument. Introduction: The First Reference County sheriffs share a unique aspect with a few county officials. "...Nebuchadnezzar, the King, sent to gather together the princes, the governors, and the captains, the judges, the treasurers, the counselors, the sheriffs and all the rulers of the provinces to come to the dedication of the (golden) image which Nebuchadnezzar had set up..."
Counties brought order as homesteaders and settlers moved to Dakota Territory, county sheriffs provided urgently needed law enforcement. In 1889, the state constitution officially charged counties with the responsibility of preserving peace. Today, the sheriff's departments duties include making arrests, enforcing all state and local laws, maintaining jail facilities, transporting prisoners and mentally ill patients, serving legal papers, holding public sales of property under court orders and attending district court. They have the authority to enforce laws in cities and towns as well as rural areas. In recent years, the decreasing tax base has led many small towns to contract with the counties for law enforcement service. Sheriffs are elected every four years. Many of their responsibilities are regulated by the state and federal government. In spite of many changes over the years, the sheriff's primary role is still to preserve peace and order in the county. Introduction: State's Attorneys serve as legal counsel and advisor to the county. The State's Attorney represents the state in criminal cases acting as prosecutor. State's Attorneys provide guidance to county commissioners and officials in interpreting the meaning of the N.D. Century Code and legislation. Introduction: The office of County Treasurer was created by the N.D. Constitution and the duties are listed in Century Code. Treasurers are elected to four-year terms on a nonpartisan ballot during November elections and they officially assume duties in May. The salary is set by state statute and is based on the population of the county. The County Treasurer's Association was founded in 1958 for treasurers and finance officers. The members meet annually to communicate changes made by the State Legislature and discuss issues pertaining to the county treasurer's office. They also propose legislation to better serve the taxpayers. In addition they now meet by regions twice a year and also attend educational classes on a regular basis. The treasurer's office is used by taxpayers, state agencies, lending institutions and realty companies, to name a few. The treasurer's office provides easy access to tax and real estate records throughout the year to anyone who requests that information. 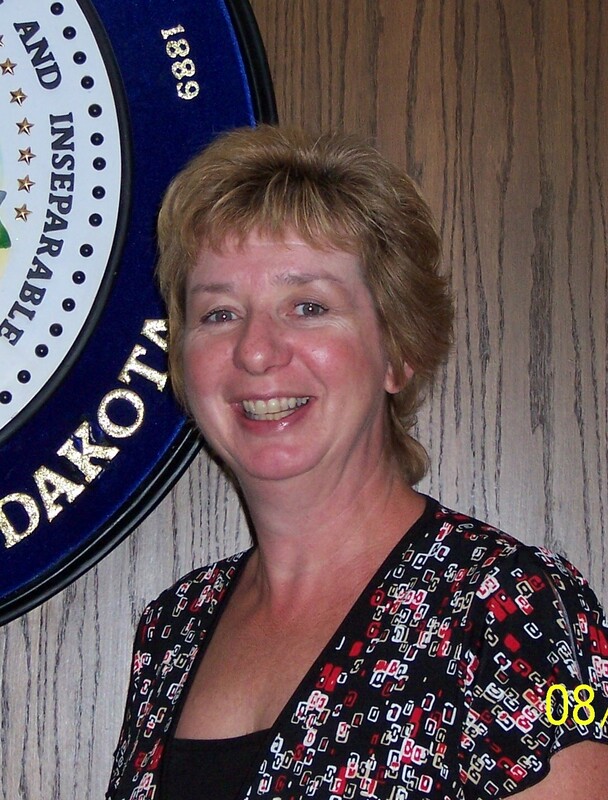 Introduction: The first county superintendent assumed duties in 1876, 13 years before North Dakota became a state. By 1889, the year N.D. entered the union, 38 superintendents were on the job. Well educated and in a position of high profile, superintendents often became community leaders and several held leadership positions with the state. The office maintains valuable student records spanning over 100 years and handles a wealth of records useful in historical research. The Superintendent's duties fill student's lives with activities they will long remember, including spelling bees, MATHCOUNTS, and other local and state contests. Superintendents plan and conduct workshops for the training of school bus drivers. They assist teachers and administrators and provide information on school law and legislative matters. The county superintendent assumes the primary responsibility in restructuring school district boundaries. The future sees an increasing need for this process which includes: education and guidance for patrons; extensive knowledge and implementation of legal procedures; detailed descriptions of land areas; and documentation of public testimony. With more school districts consolidating and more state control of local programs, county superintendents have taken on greater roles as record keepers, coordinators and technical advisors. County superintendents evaluate the needs of schools under their jurisdiction and develop a full service plan accordingly. For smaller schools that do not have a superintendent, the county superintendent serves in that capacity. The county director of tax equalization shall have the power, duty, and responsibility to call upon and confer with township and city assessors in the county and to instruct them in the preparation and proper use of land maps and property cards, the preparation of assessment books, the changes in assessment laws and regulations, the determination of proper standards of value, the use of proper classifications of property, and the authority to require attendance at meetings, to the end that a uniform assessment of all real property in the county will prevail. Land-use regulation is not restricted to controlling existing buildings and uses; in large part, it is designed to guide future development. Municipalities commonly follow a planning process that ultimately results in a comprehensive or master plan, and in some states the creation of an official map for a municipality. The master plan is then put into effect by ordinances controlling zoning, regulation of subdivision developments, street plans, plans for public facilities, and building regulations. Future developers must plan their subdivisions in accordance with the official map or plan. The Mercer County Veterans' Service Office specializes in counseling, advising and assisting veterans, widows and dependents in any claims with the United States Department of Veterans' Affairs or other federal, state or county agencies to secure for them any benefits which they may be reasonably entitled to under federal, state or county statutes. The Veteran’s Service Officer is in the office Tuesday & Wednesday from 8:00 am ct to 4:00 pm ct.
Mercer County Emergency Management provides an integrated emergency management system that prepares Mercer County for an emergency or disaster. Four phases or principals are utilized to develop this comprehensive approach. Planning: This phase develops the plans used by communities during an emergency or disaster. It looks at the hazards within a community to determine the risks that could impact the population. Based upon the hazards and risks, a generic plan is developed which can be followed in any emergency or disaster. It provides a guide for all responding agencies, both public and private. Some common hazards planned for within Mercer County are flooding, tornadoes, winter storms, chemical storage and transportation accidents. Mitigation: If certain hazards or risks can be minimized prior to the emergency or disaster, it can significantly reduce or eliminate the necessary response. An example of mitigation is building an earthen dike to protect the community from flooding. Response: The mobilization of resources to meet an emergency or disaster. Based upon the plan developed, a coordinated response can be activated to save lives, protect property and prevent damage to the environment. It is not always possible to avoid an emergency or disaster, but one can hopefully lessen its impact. Recovery: The period following an emergency or disaster that gathers the resources to allow a community to return to near normal activities. During this recovery phase a community may have an opportunity to change or rebuild in such a manner to further reduce the risks to the community. That takes planning which identifies what mitigating actions could lessen the response and the need to recover. 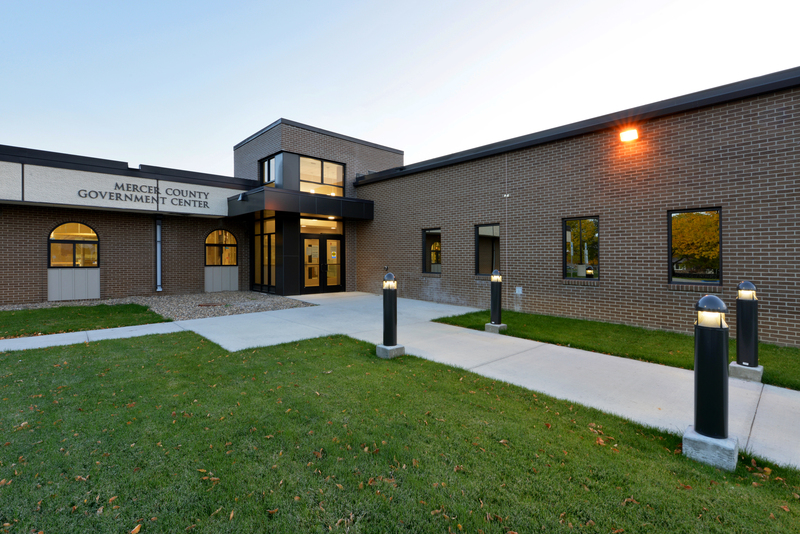 The County Highway Department office is located at the County Highway Department Complex, 1809 7th Street NE, Beulah. The County Highway Superintendent is appointed by the County Commission to serve as the department head for these operations. Mission: To provide and maintain an efficient, safe, environmentally sensitive, and cost effective county transportation system to effectively meet citizen's needs for personal mobility and movement of goods consistent with the importance of transportation. The Mercer County Highway Department is responsible for the efficient planning, design, construction, and maintenance of highways and bridges on the County highway system as well as bridges on the township system. Mercer County has more than 650 miles of County highways. There are also more than 50 bridges greater than 20 feet in length and many smaller drainage structures in Mercer County. Items that may not be accepted by the landfill include; liquid sludges, paint residues, hazardous waste and un-rinsed pesticide containers. The landfill has a 10' x 70' certified truck scale which is available to the public at a cost of $10.00/truck.